Traffic Management System (TMS) is a possible implementation of a Green IT application. It can have direct impact on reducing the greenhouse gases. The focus of this report is to illustrate how event driven SOA design principles can be applied in designing traffic management system. It also discusses how cloud computing concept can be used for TMS application. Traffic during peak hours is a problem in any major city where population growth far exceeds the infrastructure. Frequent stop and start of the cars on the heavy traffic roads and slow moving traffic causes greater fuel consumption, which results in greater emission of carbon gases. If efficient traffic management system can speed up the traffic average speed it will help reduce the carbon emission. As the WiMAX technology reaches maturity and achieves greater reliability and speed for wireless data transmissions new mobile applications are possible. Traffic Management System is one such example. WiMAX can facilitate communication to and from fast moving cars. WiMAX combined with GPS (Global Positioning System) technology can facilitate building an efficient traffic management system. 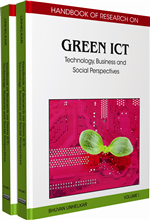 The authors have also discussed various scenarios where Cloud computing technology can be utilised resulting in further optimisation of the computing resources and therefore reducing the carbon emission. Traffic chaos in a major city during peak hours or when returning from holidays has become a nightmare. Distance covered in one hour drive can sometimes take much more. Apart from frustration to the driver and passengers, the slow traffic has an impact on the environment. According to a study in UK the fuel consumption on urban roads can be up to 70% more than that in the highway conditions (http://www.environment.gov.au/). In simple terms that would cause upto 70% more pollution. Any reduction in traffic chaos could help reduce the carbon emission. This paper attempts to provide a solution that can help reduce travel time for cars in peak hours, reduce idling time and improve average speed of travel and therefore reduce the greenhouse gases. The TMS can use the position of all the vehicles on various major road junctions and compare that to normal traffic volume to determine the traffic congestion. Based on this real time traffic data, the best alternative route to reach the destination can be provided. This is different to the normal GPS system, which provides only the static route without consideration to the real time situation on the road. Traffic condition data can also take into account some planned traffic blockages like road work, accidents and snow or rain. TMS can also compute the total carbon emitted by the vehicles during certain period (typically the peak hours) and help in monitoring and controlling carbon emissions. The backend servers to run the TMS system can also be organized in a manner as to stagger the use of the servers. For example, a TMS hosted on a single server can handle the peak hours of various regions within a country - like Sydney and Perth in Australia. There is two to three hours time difference between Perth and Sydney. Thus, unused server capacity during off-peak period can be utilised to manage traffic of another city. Similarly unused capacity of servers can be made use of to manage traffic of a city in another country in different time zone. TMS system can be deployed on a cloud of servers residing in various locations running traffic management software. Servers in geographically distributed sites can make use of solar energy available in the location as much as possible. Availability of Sunlight in different locations would differ according to the time zone. The focus of the report is to present the principle of operations of TMS, description of various technologies and components required for TMS and mainly how event-driven design principles can be applied in developing traffic management system. Relevance of TMS as Green IT application will be discussed and how cloud computing can be applied for TMS will also be elaborated. A fictitious Traffic Management System (TMS) is used to manage and monitor traffic. It has been used to illustrate a Cloud Containing Event Driven SOA Architecture and the analysis and modelling of a solution. TMS receives movement, location and itinerary information of each vehicle on a Road Network through a wireless network and uses this information to calculate traffic congestion and advise drivers of the best routes to their destinations through a display device similar to current GPS Receivers. WiMAX: Worldwide Interoperability for Microwave Access is a telecommunications technology that provides wireless data in a variety of ways, from point-to-point links to full mobile cellular type access. It is based on the IEEE 802.16 standard. Business Process Execution Language (BPEL): is a language designed to model the interaction of business services. BPEL is an XML based standard for defining business process flow, it also facilitates the orchestration of synchronous and asynchronous web services, while providing support for long running stateful processes. Pasley states that ’BPEL is an open standard, making it interoperable and portable across many platforms‘(Pasley 2005 p.60). Consequently BPEL provides the ideal mechanism for integrating discrete services across an enterprise under an SOA architecture (Pasley 2005 p.60). Global Positioning System (GPS): is the only fully functional Global Navigation Satellite System. The GPS uses a constellation of at least 24 (32 by March 2008) Medium Earth Orbit satellites that transmit precise microwave signals, that enable GPS receivers to determine their location, speed, direction, and time. Service Oriented Architecture (SOA): A software architecture that provides a loosely-integrated suite of services that can be used within multiple business domains. Mobile WiMax: IEEE standard 802.16e-2005 is an amendment to 802.16-2004 and is often referred to in shortened form as 802.16e. It introduced support for mobility, amongst other things and is therefore also frequently called “mobile WiMAX”. Business Rule Engine (BRE): An application that executes one or more business rules in a runtime environment. Subscriber Identity Module (SIM): is part of a removable smart card ICC (Integrated Circuit Card), also known as SIM Cards, for mobile, telephony devices (such as computers) and mobile phones. SIM cards securely store the service-subscriber key (IMSI) used to identify a subscriber. Event Driven Architecture (EDA): A software architecture pattern promoting the production, detection, consumption of, and reaction to events. Enterprise Service Bus (ESB): An ESB consists of a software architecture construct which provides fundamental services for complex architectures via an event-driven engine . Institute of Electrical and Electronic Engineers (IEEE): is an international non-profit, professional organization for the advancement of technology related to electricity. It has the most members of any technical professional organization in the world, with more than 365,000 members in around 150 countries.